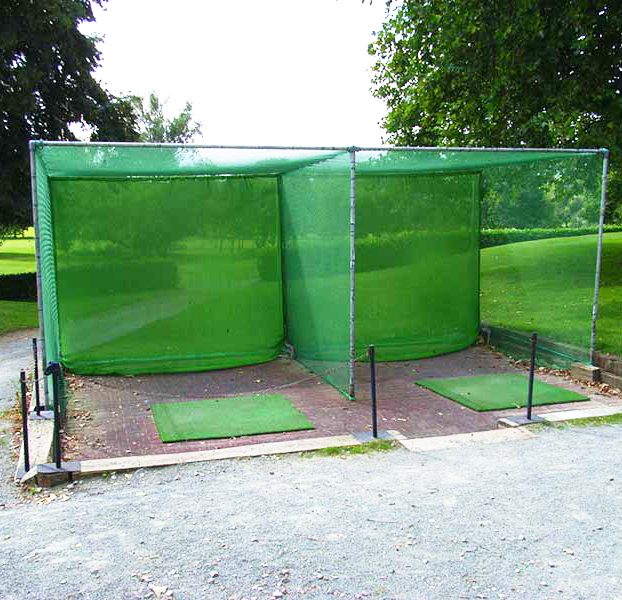 With double layered netting, these golf practice cage net dual bay have an outer layer covering the entire steel frame, along with an inner layer which takes the brunt of the ball’s force, ensuring a longer lasting net. Corner sockets ensure the frame and net is held firmly in place, no matter the conditions. 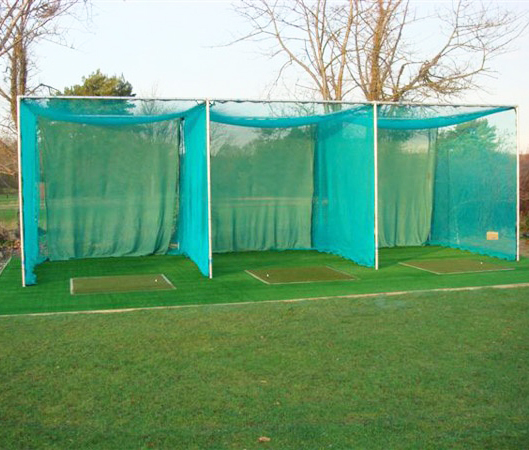 Choose from either a Single Bay or Dual Bay cage to suit your perfect practice set-up! – Single Bay = 10ft x 10ft x 10ft (3m x 3m x 3m). – Dual Bay = 20ft x 10ft x 10ft (6m x 3m x 3m). – 43mm galvanised steel tube constructions. – Key clamp corner brackets. – Ground sockets included to hold frame in place. – 1.8mm twine with a 22mm mesh. – Durable polyethylene material, which has been UV treated and is inherently a rot proof material. – Hemmed impact panel with brass eyelets.